SANTA ANA, CALIFORNIA – Klinedinst attorney Frederick Heiser has just published a new article on premises liability. Titled “Three Ways Retailers Can Address Premises Liability Claims,” the article provides practical guidance that retailers can use to mitigate the risk of lawsuits being filed. 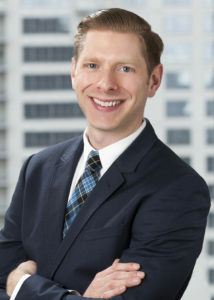 Mr. Heiser is Counsel in Klinedinst’s Los Angeles and Orange County offices, and is a Member of the firm’s Business and Commercial Litigation, Commercial General Liability, and Employment Practice Groups. His clients include retailers, local entrepreneurs, small family businesses, and Fortune 500 companies. Mr. Heiser goes on to review specific steps that management and employees alike can take to help ensure they do not become the next targets of premises liability litigation.